Smuggling was for many years commonplace along our local Hampshire coastline, through into Dorset and inland in New Forest. Contrary to popular romantic myth and films, the smugglers were not good hearted Robin Hood types, trying to make a living and helping the poor and down trodden. In fact they were well organised and ruthless criminals who terrorised the local population. They exploited the populace for their own gain. Pitched battles occurred in our area of Hampshire between the smugglers and the forces of law and order, beatings, deaths and murders occurred with a horrifying frequency. Smuggled goods such as brandy, tobacco, tea and fine silks were brought to our coast from the continent in fast, well armed vessels. The journey across the channel could involve a chase and skirmish with the Revenue men in their cutters. If the smugglers ship was able to out run or outgun the Revenue men they would make for suitable landing places along our coast. Some of these places you may be surprised to learn were held by Government forces who acted in collusion with the smugglers. A good example of this was nearby Hurst Castle where it is recorded that the castle governor and his men offered safety, shelter and a place to store contraband. On at least one occasion in 1684 the Excise men attempted to gain entry to the castle to search for smuggled goods but were refused entry by the garrison. Elsewhere nearby landing places favoured by the smugglers were to be found at Chewton Bunny, Becton Bunny and Taddiford Gap, also known as Paddys Gap. 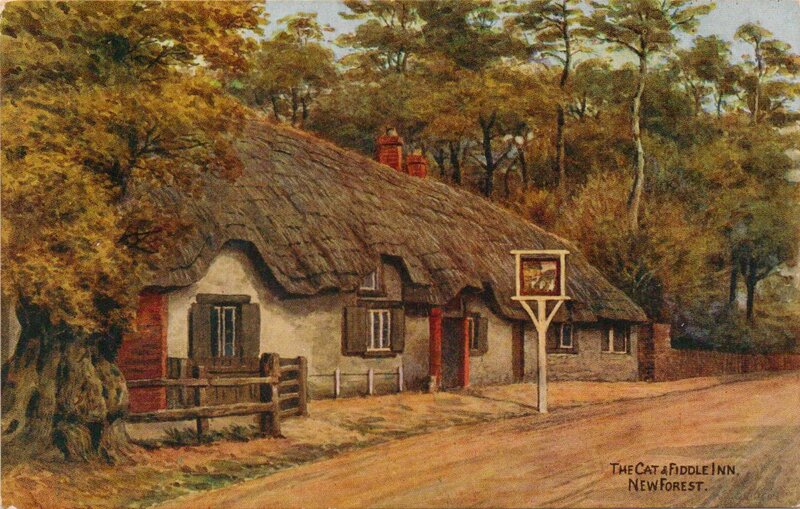 The goods would be brought along discrete routes through the forest to pubs such as the Cat and Fiddle at Hinton, the Queens Head in Burley and to Sway village. The goods would be transported by horse and cart, or carried by local labour. The gangs on land were often so large and well armed that the Excises men had to call on the army to assist them in the execution of their duties. Stationed in and around Lymington were the Lancashire militia. It is thought that military units were based away from their home areas so that they could carry out their duties without local compromise or pressure being brought to bear on them. On occasions there were violent exchanges between the smugglers and the government forces. There is recorded that in 1784 there was a battle in Mudeford between the Militia and the smugglers. Nearby in Milford ‘The Battle of Milford Green’ took place in either 1785 or 1786. Approximately 100 armed smugglers were involved in a ‘landing’ of contraband on Hurst Spit. As they rode along Westover Lane they were challenged by the Revenue men who were supported by the Lancashire militia. A number of casualties occurred on both sides. Another version of this incident suggests that the smugglers had 14 wagons of contraband and agreed to give up 100 tubs. If the Revenue men tried to seize any more, violence was threatened. As the Militia and Revenue men were outnumbered they took the offered 100 tubs and allowed the rest of the contraband to pass by. Murders by the smuggler were not infrequent and brought fear to the local population. On 24th of August 1780 Riding officer, (an early Coastguard patrolling the shore) John Bursey was at his home in Chewton (then part of Milton parish) one night when two men knocked at his door. The men offered to show him where a cache of newly landed contraband could be found nearby. Officer Bursey stepped out into the night, unarmed. He was savagely beaten around the head by the two men. When his wife tried to call for assistance a firearm was discharged in her direction. Riding officer Bursey died of his injuries a few days later. There are several memorials to the Bursey family inside St Mary Magdalene church. Around the late 1790s a Barton woman who had given information to the customs men was found asphyxiated in her house. All the doors, window and chimney had been sealed with wet cloth. Law and order had broken down so badly that in Lymington in 1820 the magistrates felt they had no choice but to swear in as Special Constables some of the smugglers so that some control could be kept on the worsening public order situation. Slowly the tide turned against the smugglers. The government reduced tax on goods, for example on tea from 112% to 12 ½%. The smugglers would no longer make a profit on bringing this commodity in illegally. In addition, the cessation of hostilities with France meant that the Royal Navy had more vessels and men to spare who could assist the Revenue service. A uniformed customs service and in addition a uniformed Coastguard service came into being. The Coastguard men were stationed all along our shoreline. 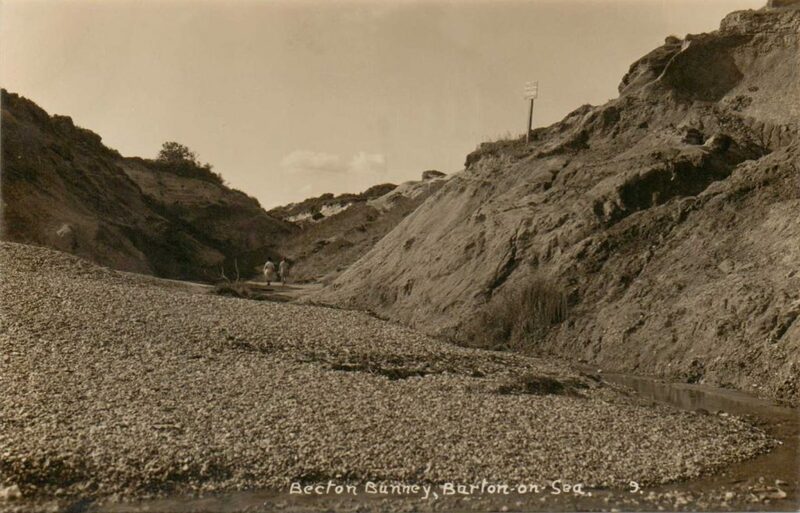 The first Coastguard post, in our area, was built on the cliff top at Barton on Sea. 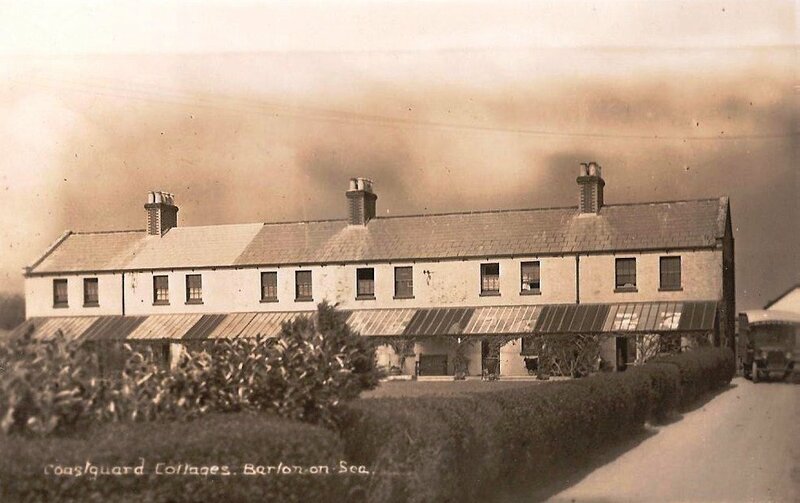 Later In 1868 a new coastguard station was built in what is now Barton Lane. The cottages housed 7 men. There was a separate house for the chief officer (now a nursing home) and was in use until 1908. Eventually law and order was brought back into the wilds of our area. Whilst smuggling undoubtedly still goes on, it is nothing like as large and brazen an operation that one caused some much trial and tribulation in Milton and Milford parish. Life in Barton and Milton has not always been as peaceful and as tranquil as it is today.